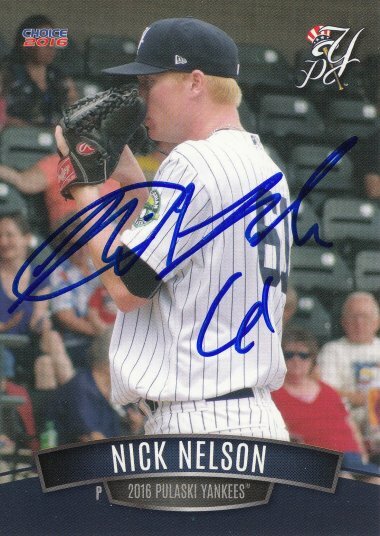 Nick signed a 2016 Pulaski Yankees Team Set card #26. 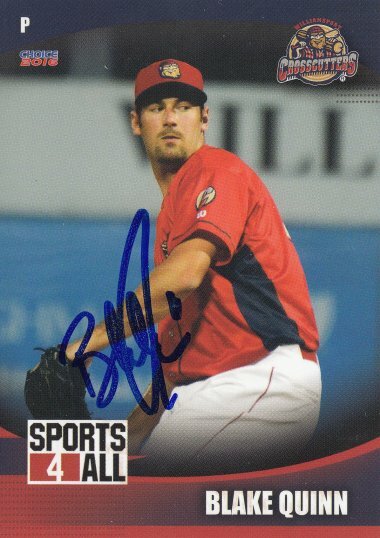 I met him at a Florida Instructional League game at Bright House Field in Clearwater, Florida in 2016, when the New York Yankees, whom he was the vice president of player development for, came to play the Philadelphia Phillies. 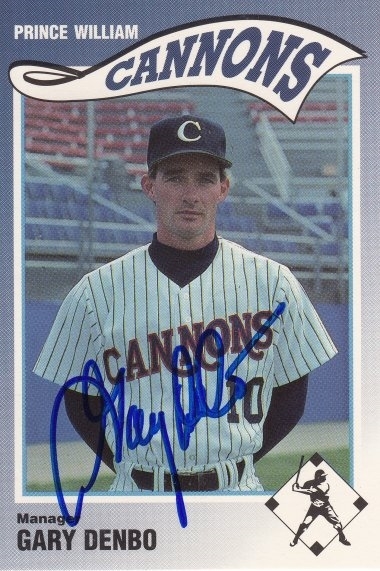 Gary signed a 1990 Prince William Cannons Team Set card #2. 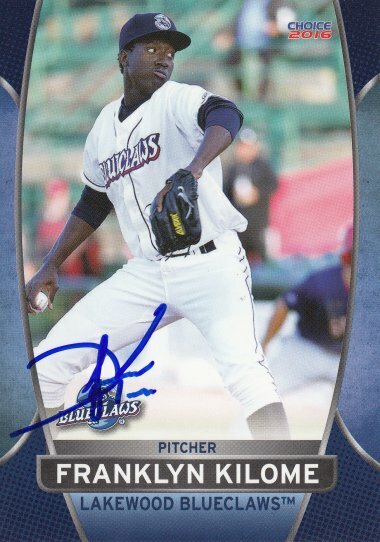 Grant signed a 2016 Williamsport Crosscutters Team Set card #06. 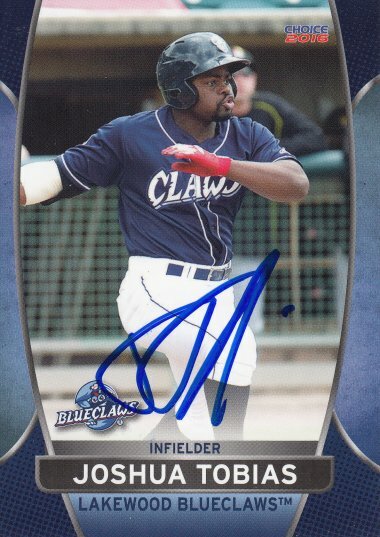 Edgar signed a 2016 Lakewood Blueclaws Team Set card #07. 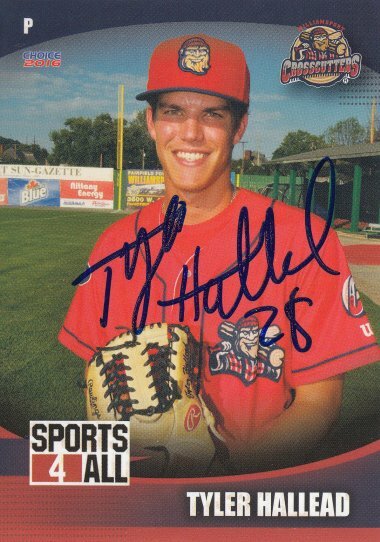 Tyler signed a 2016 Williamsport Crosscutters Team Set card #14. 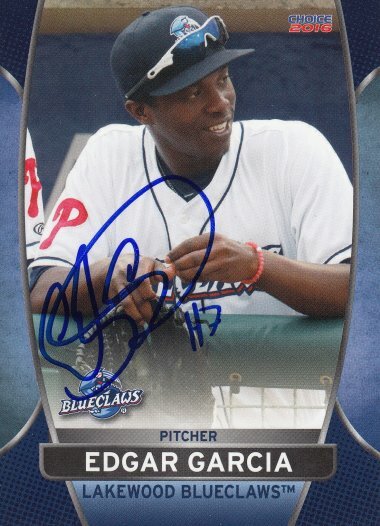 Franklyn signed a 2016 Lakewood Blueclaws Team Set card #14. 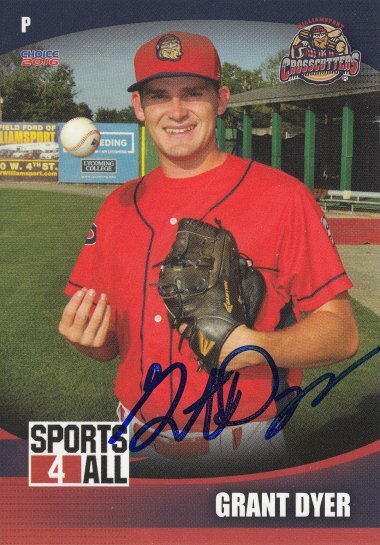 Blake signed a 2016 Williamsport Crosscutters Team Set card #28. 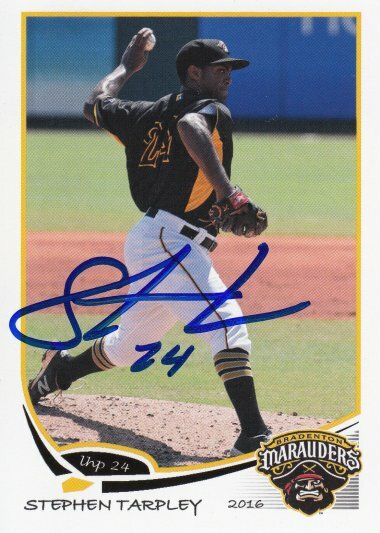 I met him at a Philadelphia Phillies Florida Instructional League game at Bright House Field in Clearwater, Florida in 2016. 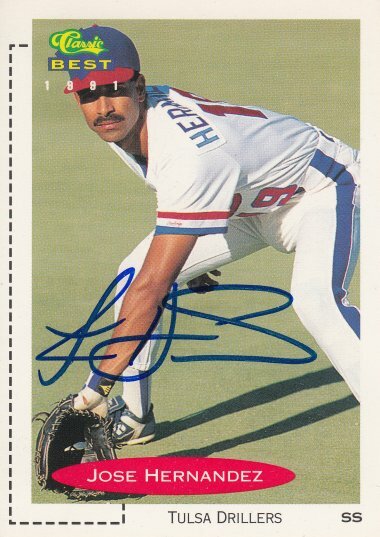 He was the Philadelphia Phillies amateur scouting director and just happened to be in attendance that day. 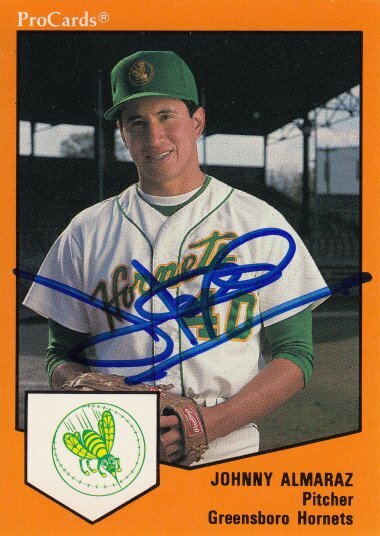 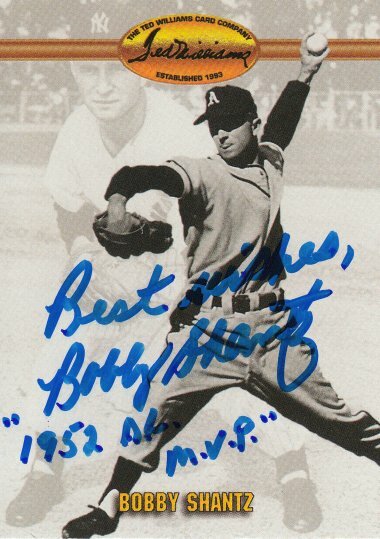 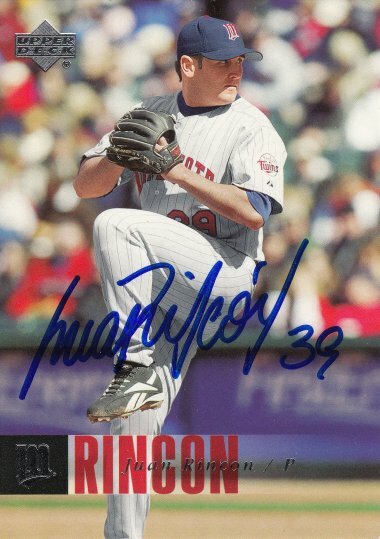 Johnny signed a 1989 ProCards card #431. 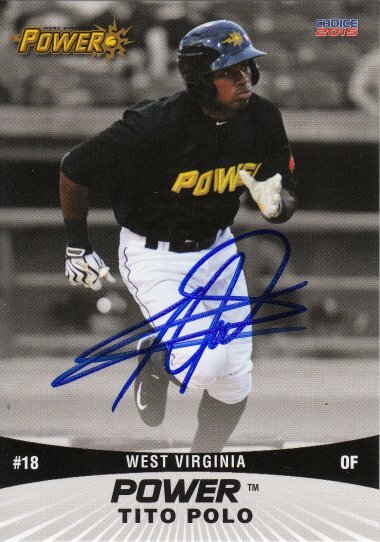 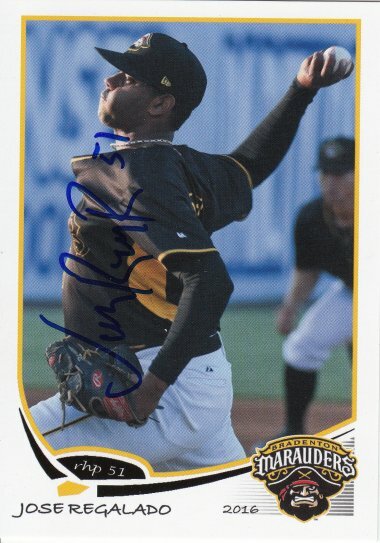 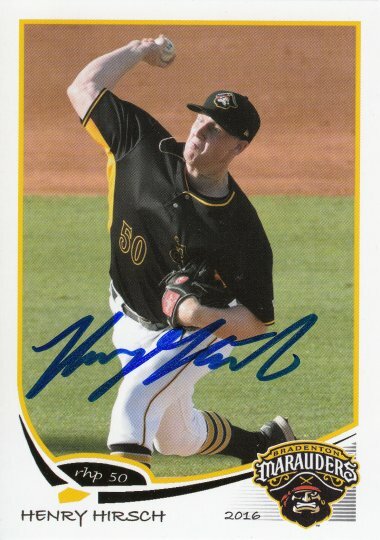 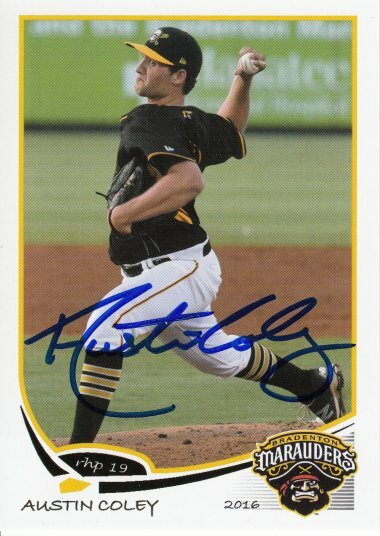 Tito signed a 2015 West Virginia Power Team Set card #12. 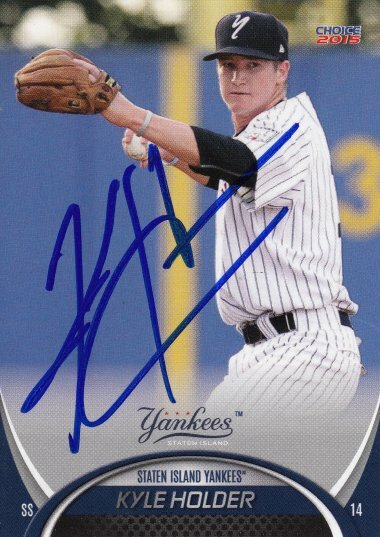 Kyle signed a 2015 Staten Island Yankees Team Set card #16. 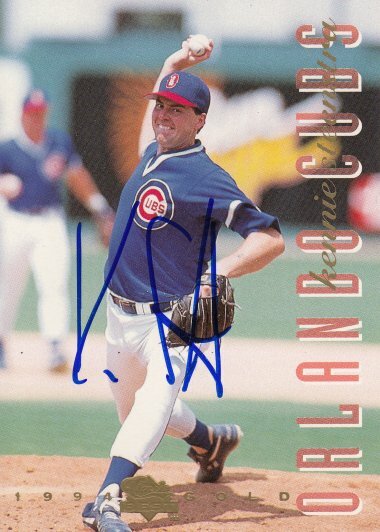 I met him at a Florida Instructional League game at Bright House Field in Clearwater, Florida in 2016, when the New York Yankees, whom he was coaching, came to play the Philadelphia Phillies. 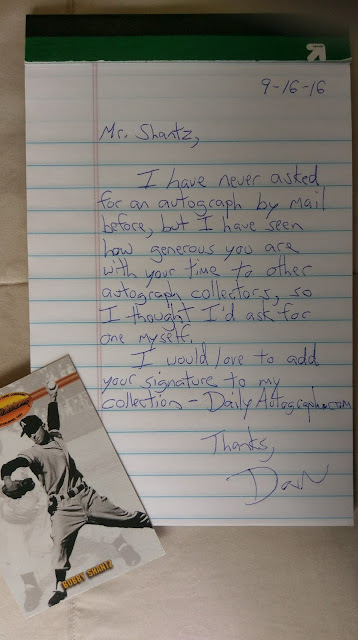 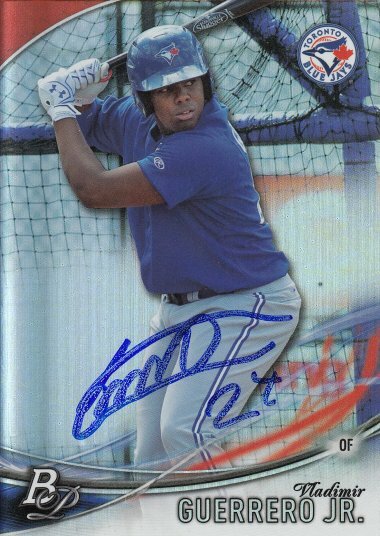 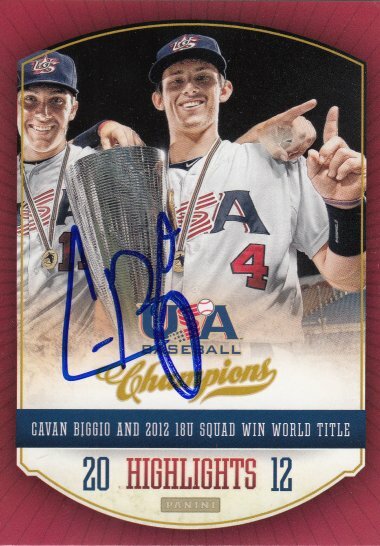 Travis signed a 2003 Donruss Champions card #295. 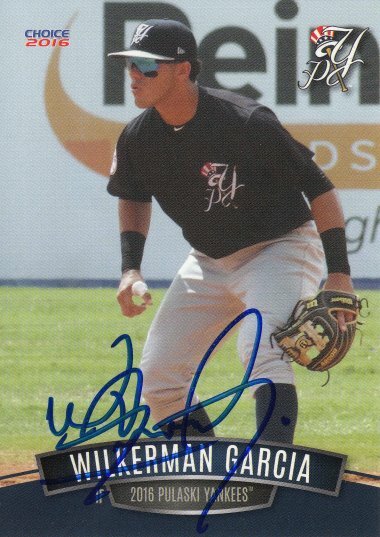 Wilkerman signed a 2016 Pulaski Yankees Team Set card #14. 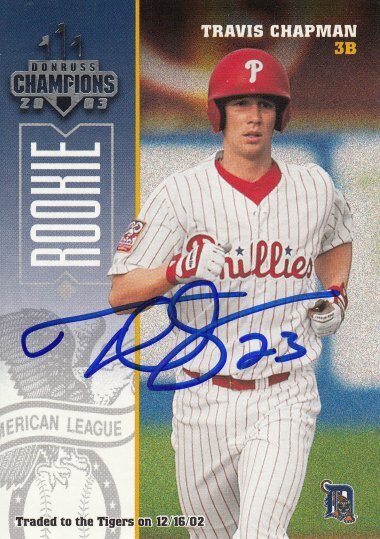 Josh signed a 2016 Lakewood Blueclaws Team Set card #25. 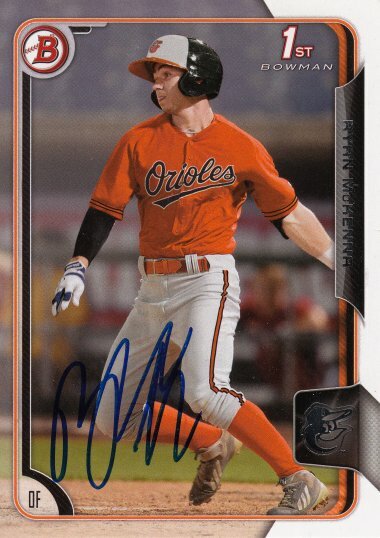 I met him at a Florida Instructional League game at Bright House Field in Clearwater, Florida in 2016, when the New York Yankees, whom he was the Minor League hitting coordinator for, came to play the Philadelphia Phillies. 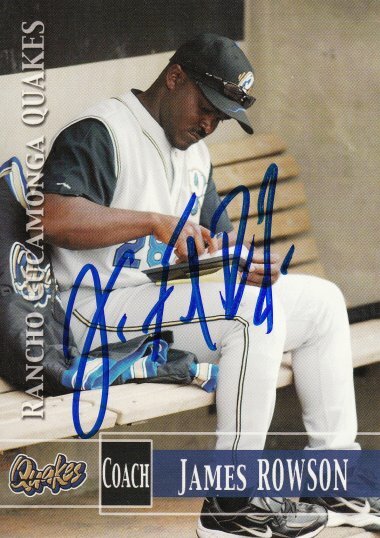 James signed a 2006 Rancho Cucamonga Quakes Team Set card. 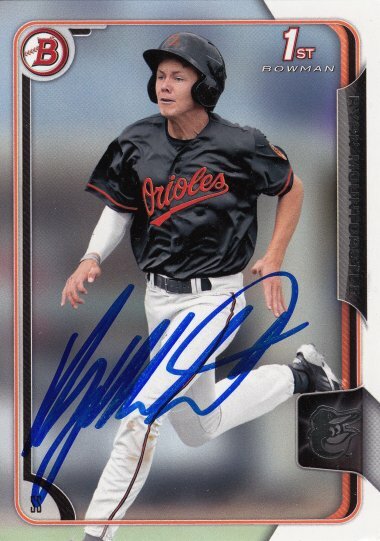 Vladimir signed a 2016 Bowman Platinum Top Prospects card #TP-VG. 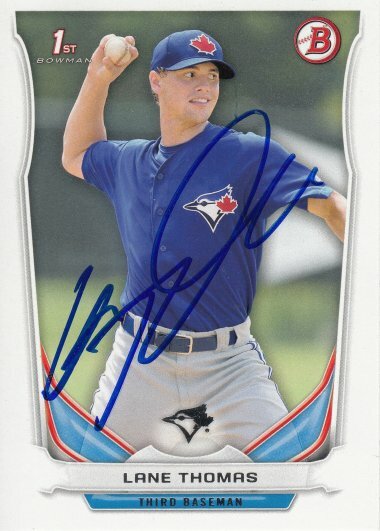 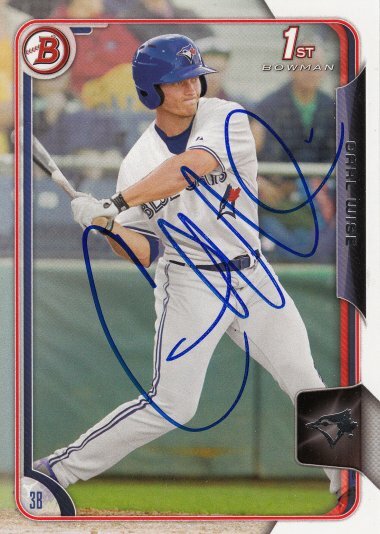 Ryan signed a 2015 Bowman Draft card #80.